Government shutdowns of the internet have cost sub-Saharan Africa about $237 million since 2015, according to a study released Friday, as authorities increasingly implement planned disruptions. At least 12 countries have had internet shutdowns, often before elections or when protests erupt, with mobile internet networks most recently suspended in Togo during opposition demonstrations. "Internet disruptions, however short-lived, undermine economic growth, disrupt the delivery of critical services, erode business confidence, and raise a country's risk profile," the CIPESA report said. The Collaboration on International ICT Policy for East and Southern Africa (CIPESA) released its findings at an internet freedom conference in Johannesburg. "African governments should desist from ordering shutdowns," it said, adding that they cause long-term damage to many citizens' livelihoods and welfare. 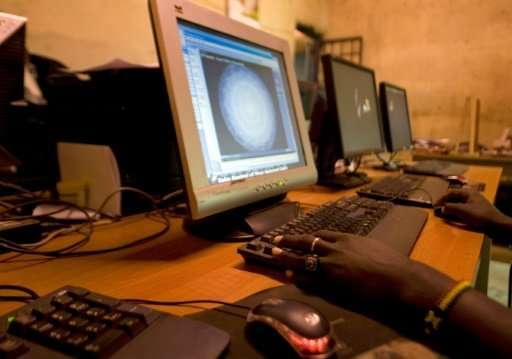 The report said that in Ethiopia 36 days of national and regional internet shutdowns since 2015 had cost the country $123 million, calculated on how much the information technology sector contributed to the economy. It said that Cameroon's 93-day shutdown in Anglophone regions cost the country about $38 million, while a total shutdown in Kenya could cost $6.3 million a day. Shutdowns were timed over national exams in Ethiopia, during elections in Chad, Gabon and Uganda, and during public protests in DR Congo, Burundi, Ethiopia and Togo. The report said that various internet shutdowns had been in place in sub-Saharan Africa on 236 days since 2015. "Far from fostering stability... during protests, elections, or exam periods, they in fact undermine economic activity and prevent normal order," the report said. In Cameroon, the government imposed the 93-day internet shutdown in the two English-speaking regions after protests calling for autonomy or independence. Western and Eastern nations are fighting over who and how they get to take over Africa, or screw over Africa. A time honored enterprise. The monies related to loses may be what they are but the alternative is outsiders creating orange or whatever revolutions for their own clandestine benefits. The west, for example, has a large many centuries long history of tearing regions of the world apart for their own benefit. The USA is being demonized right now for it's long tradition of disrupting and tearing apart approximately..what was that number..some +100 countries and regions? Other countries are at least as guilty. Looks like they are funded out of the UK. The UK, a notorious human rights abuser with 400+ years of imperialistic and violent history behind them. Read beneath the surface, always look behind the curtain, always look for players hiding behind them. And when you find a curtain and the hidden players, look again, there is very likely to be more, much more. Such organizations that might be used as a trojan horse will always have a good face. People never look deep enough, so what works, gets used again and again. We don't know if that is the case here but assume guilt and find the innocence, if you can. Trust...if you must... but always check. Always.